Hi there! While installing phoneGap on Windows using the newst Eclipse version i've got some problems. That's the reason i wrote this post. The "Getting Started with Android" guide from PhoneGap is good, but does not show all pitfalls you may encounter like i did. Before doing all those steps (like i did) go to the end of this post "Launch your project" and check if your CPU supports visualization. If not, go and by another PC first or upgrade your CPU if possible! ;-) Otherwise at the end of this post, you will be disapointed. That's what happened to me, because there was no advise while installing PhoneGap Cordova. OK, now we will do the same process with the JAVA JDK as we did with ANT in the last section. That's a good exercise to see if you can do it by your self. 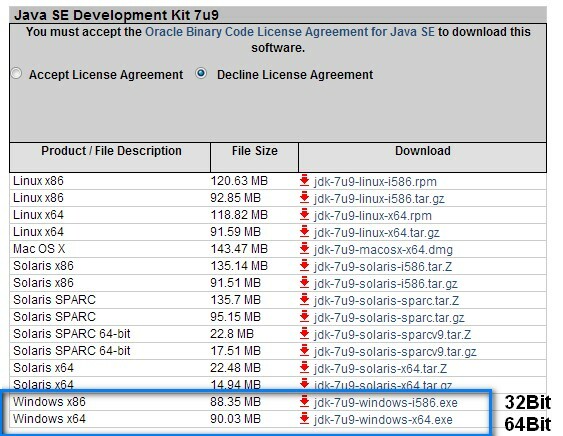 Go to Java SE Downloads and download the version you want. In my case was jdk1.7.0_07 ath the time i wrote this post. Good! Now just run the installer by doble clicking it and install it in the default directory it has been proposed by the wizard. 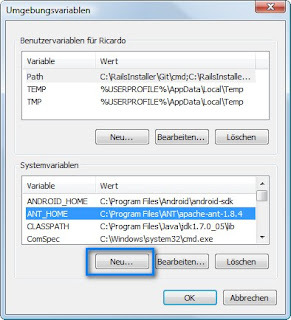 Something like this by me: C:\Program Files\Java\jdk1.7.0_07 Now do the same steps as we did by Ant and set the JAVA_HOME variable and add it to your Path. Go to: Android SDK and download the installer. Double click it and install it in the proposed default folder. by me it looks like this: C:\Program Files\Android\android-sdk. That's all we need to know about it. Great! We are fast there. Let's download and install Eclipse now. That's will be our development tool. Go to Eclipse Downloads and download the classic version version you want. In my case was 4.2.1 at the time i wrote this blog. As you know now which platform you have (32bit or 64bit) you can take the one which fits to your PC. In my case it is the 32bit version. Because i'm using Norton as a security and virus protector, i descided to intall Eclipse in my user home so i do not have problems with admin rights and so on. I recommend to do it that way if you have similar setting. 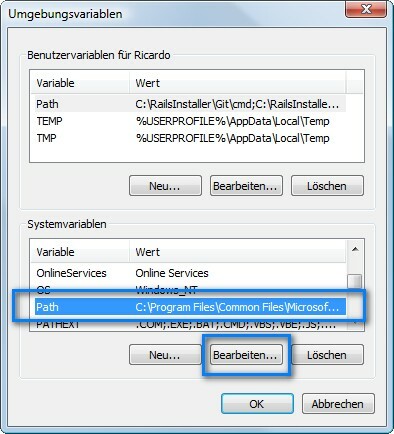 By me i looks like this: C:\Users\Ricardo\IDE\classic In there you unzip the downloaded file. 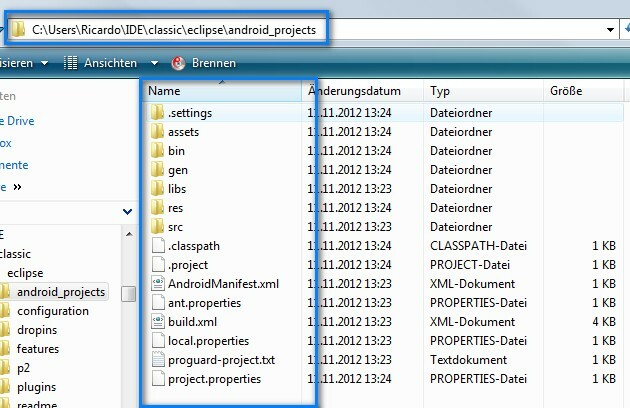 After that you'll have something like this in it: C:\Users\Ricardo\IDE\classic\eclipse. 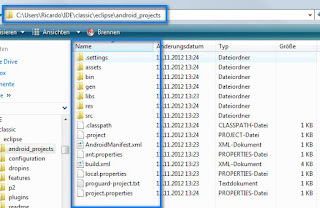 I also recommendo to change the rename the folder eclipse to eclipse-4.2.1. This is useful if you may install other eclipse types and versions later but it is up to you to decide what fits better to you. Now let's install the Android Plugin. 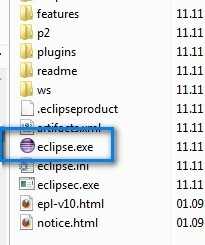 In the directory of your Eclipse double click eclipse.exe to start it. Close the welcome tab and then select Help > Install new software... and install the ADT Plugin as described bellow. See the screen sequences bellow: PS: After installing Android ADT Eclipse may ask you to restart it. Say yes. 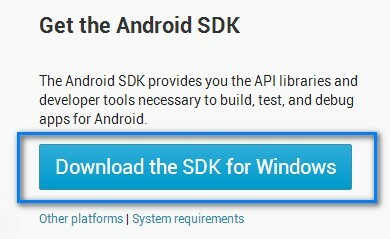 At this point the Android SDK Manager may start and shows a list from uninstalled packages to you, just select them all and install it. this may take several minutes. Alternatively you may go to Installing Eclipse ADT Plugin and take the steps directly from there. It is getting interresting. 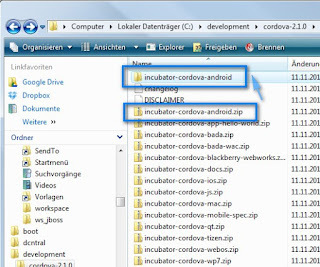 Lets download and install Apache Cordova now. 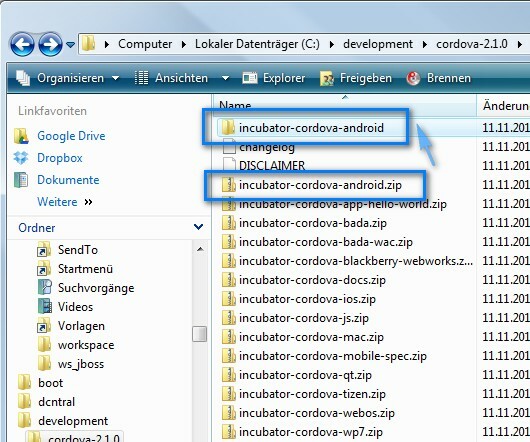 Go to: Apache Cordova and download the version you want. At the time of this post it was version 2.1.0. Pitfall one: Do not create your projects in the same directory as the eclipse workspace. This will result in a failure while trying to open your project later with Eclipse. Pitfall two: Do not create a folder to hold your projects. If you do that, that following Step will fail with the statement: This project exits already! in the window command prompt console. This must be done with the create command we will see bellow. 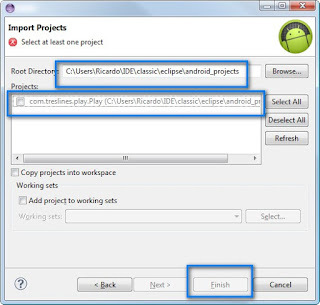 Pitfall: The folder android_projects does not exits already. It will be created with the create command above. If you create it manually before running the create command, you'll get an error saying: This project already exists! So do not create it manually. A new project will be created. Don't worry if you get a "suposed" error here. Important is to check if the project was really created. To be sure go into directory C:\Users\Ricardo\IDE\classic\eclipse\android_projects and if there is a something like this bellow, then you are fine. Now we are almost done! 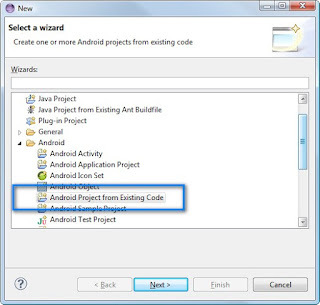 Start Eclipse again (if not already running) and press Ctrl + N and select Android Project from Existing Code > root to your created folder android_projects > select the new created project and press finish. Now we are ready to start. PS: If while starting Eclipse the Android SDK Manager starts and shows a list from uninstalled packages to you, just select them all and install it. this may take several minutes. That's the Emulator in which you will simulate a Phone Device. We need to create one before starting the App. 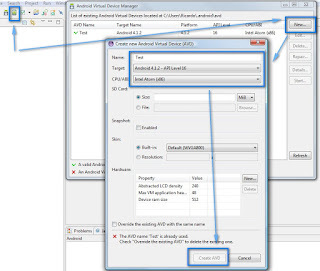 do you know if it's possible to test the correct instal of each part (ant, jdk and android sdk) ? Ok i found my error, cmd prompt was open when i add the keys. So close the cmd prompt, re-open it, and do the create the project. Good article. 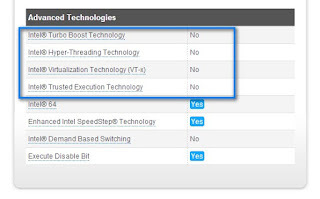 In terms of virtualization, there is the option is software virtualization which does not need a processor that is able to support a Hyper-visor. 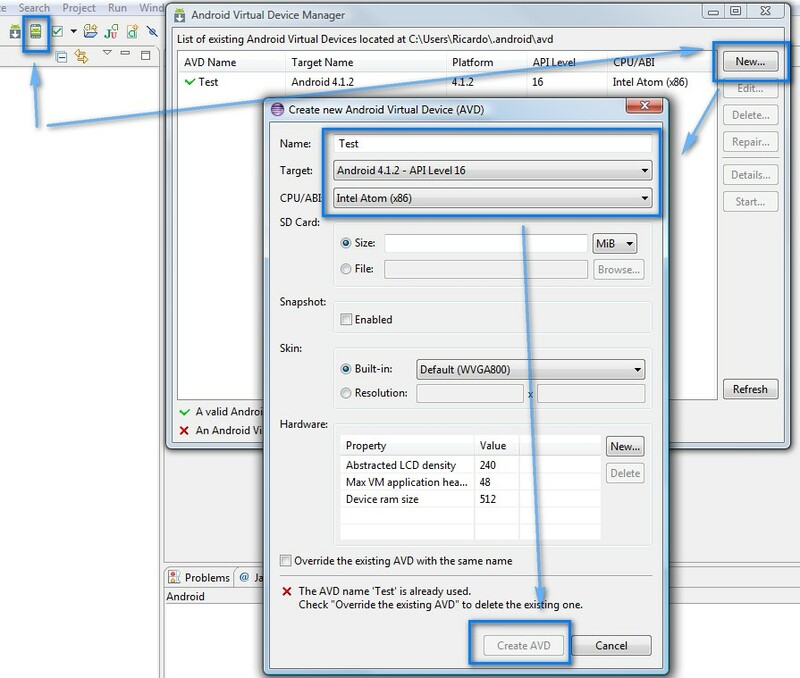 VirtualBox is able to do it and I have ran android OS in it before, however, I have never attempted to connected to it via ADB. hummm i have no idea man. i suppose google haven't any answert right? i will ask my collegues. If i have any news i'll post it here ok. sorry for that. I would appreciate if you post your solution here helping me and others in case you find a solution before i do. thanks! For anyone who can't get this working, banging there heads against walls and stuff, don't copy from the text on the site! Hi Luke! thanks! i highly appreciate your help. i have corrected this typo! sorry for that! I have redone all these instruction 3 or 4 times now. However I have fixed my problem. I tested all the necessary commands java, javac and ant. Firstly javac was not being recognised. To fix this I set the paths to reference the bin and libs in the java directory. This fixed the javac not running. Next create was complaining that it could retrieve the commons-codec, i found one here http://mvnrepository.com/artifact/commons-codec/commons-codec/1.6. 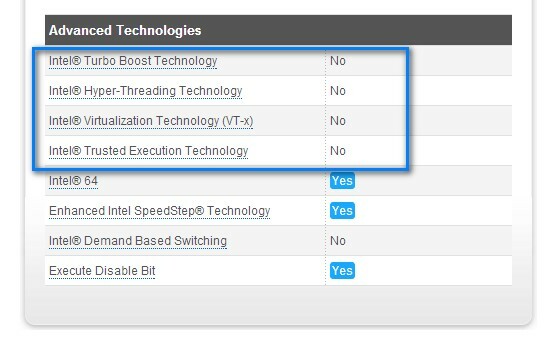 update: sdk 4.2 still don't have Intel Atom option. "Hax not working..." try install "intel x86 emulator accelerator". "Failed to allocate memory", allocate less memory to AVD. 512mb maybe works. if that variable is not set you will have to set it as well. 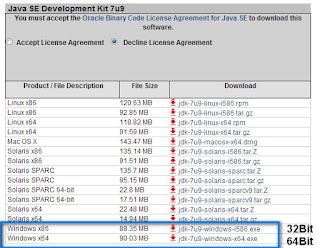 Make sure it goes to the root of your JDK install and not the bin directory of your JDK install. 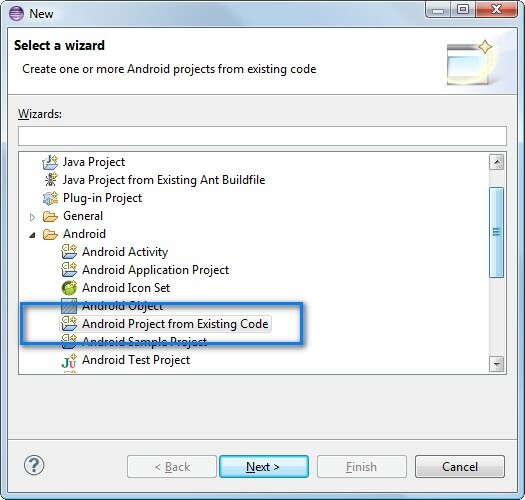 "Then run the create command with your coordinates to create a new project. by me it looks like this: C:\development\cordova-2.1.0\incubator-cordova-android\bin>create C:\....\...\... com.yourcompany.appname projektname"
After pressing Enter,Terminal prompts an CSCRIPT-Error :" Der Befehl "cscript" ist etweder falsch geschrieben oder konnte nicht gefunden werden"
I think Phonegap folder is not residing at correct location. I kept it c:\Development\Phonegap. Can you plz help me out to place it on right place. The first thing i modified, it's the System Path "%JAVA_HOME%" with the current value "%JAVA_HOME%\bin". Then, i tried to launch the create command, but an error occured as an unknown command. I launched the commands as an administrator and it worked. I hope it will be useful if you have the same problems. Make sure your environment variables ANDROID_HOME, ANT_HOME, and JAVA_HOME don't contain the %'s, and that your PATH variable DOES contain them. This was my problem. Thank you very much for the tutorial Ricardo! Perfect! Thank you! you saved my day. Phonegap user guide does not explain clearly as what you did which took me 8 hour to figure out the error. Thanks again and keep it up. I almost drop my tears when I found this post. This post saved my time. Thanks you. Thank you. Thank you! Great guide. So annoying that it is such a pain to set it up on Windows. Simply the best guide on internet for setting up phonegap on windows! This was the BEST tutorial. Thanks for your help Ricardo. first time i write comment for any person. really this is very useful post. have figured out how to run it excellently after my 10 days android installation crazy. In if anyone needs help, i will direct. Input Error : There is no script engine for file extension ".js"
Please reply if anything goes wrong. "create" command got error : 'node' is not recognized as an internal or external command.?? Am getting the same error; did you find the solution for this? You are really good !! Keep on Rock'N Roll good job!! Hi , i installed Phonegap and cordova through command line. 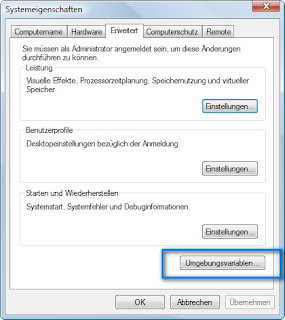 After installation , how can i find its versions? When i try to enter command like "phonegap", "cordova", it shows nothing in Command prompt. Can anyone please tell me , how to find the version of Phonegap and cordova? Hi Ricardo, I completely agree. Thank you so much for share your thoughts. I will definitely appreciate your ideas about Phonegap Development .